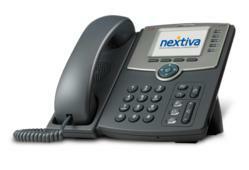 Nextiva (http://www.nextiva.com), an industry leading provider of cloud-based business phone services, announced today that it has renewed its commitment with Carbonfund.org (http://www.carbonfund.org) to maintaining a CarbonFree® business operation for the fifth consecutive year. The partnership represents Nextiva’s ongoing commitment to fighting global warming as an environmental leader in the small business communications industry. Carbonfund.org’s CarbonFree® project supports high quality carbon reduction and partners with third-party companies who are committed to reducing their CO2 footprint and using clean, renewable energy at their business. Nextiva participates in the carbon credit program which offsets pollution by retiring carbon credits, permanently removing the right of other businesses to pollute. In addition to supporting carbon reduction worldwide, the project supports renewable energy, methane destruction, energy efficiency and forestry. Since joining the Carbonfund.org project in 2009, Nextiva has created an internal recycling program, offered employees reusable cups to minimize the use of paper products, reduced the amount of onsite printers, added numerous plants around the office and helped clients become more eco-friendly through a paperless fax service called Nextiva vFAX. In recognition of this anniversary, Carbonfund.org has planted 50 trees in honor of Nextiva. This planting helps fight global warming, creates jobs, maintains and expands wildlife habitats, protects biodiversity, and improves local environmental quality. Carbonfund.org a nonprofit organization that is leading the fight against global warming, making it easy and affordable for any individual, business or organization to reduce & offset their climate impact and hasten the transition to a clean energy future. Since 2003, Carbonfund.org has partnered with over 2,000 business and 750,000 individuals on climate solutions. For more information, visit http://www.carbonfund.org.